Richard and Stacy’s ceremony at the Hilton Torrey Pines, overlooking the Torrey Pines Golf course. There are times I instantly connect with my wedding couples and meeting Richard and Stacy the first time was one of those. In fact, I felt that connection in the initial emails with Stacy. These connections always prove to be instrumental in planning their party and ultimately the end result. Richard and Stacy were married at the Hilton Torrey Pines on October 14, 2017. It was an intimate gathering of 40; friends and family celebrating two wonderful people. When guest counts are “small,” it can sometimes be difficult to get a real dance party going. But not the case for this crowd. Despite what I’m calling the “world's smallest dance floor,” this crowd was great and kept the good time flowing all night. 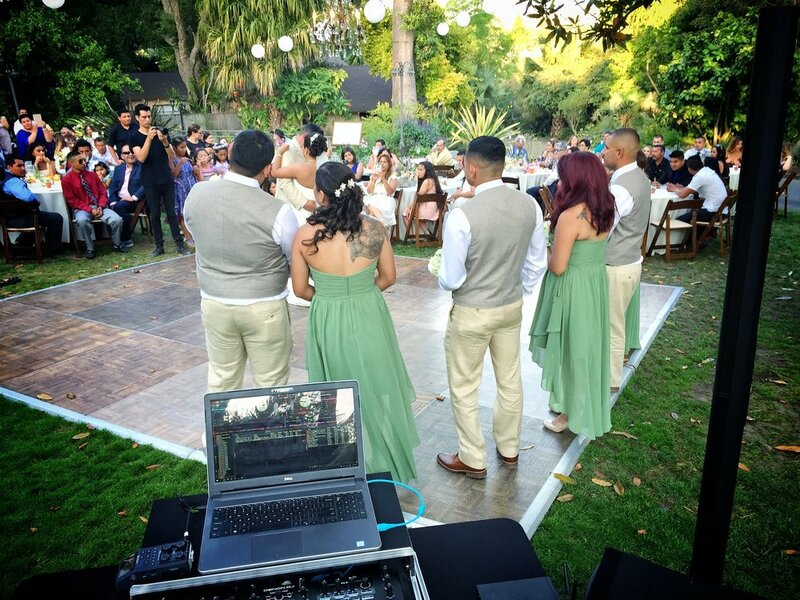 Laura and Juan had a spectacular celebration at the San Diego Botanic Garden. Here's a look at the setlist. Laura and Juan's first dance at the San Diego Botanic Garden. 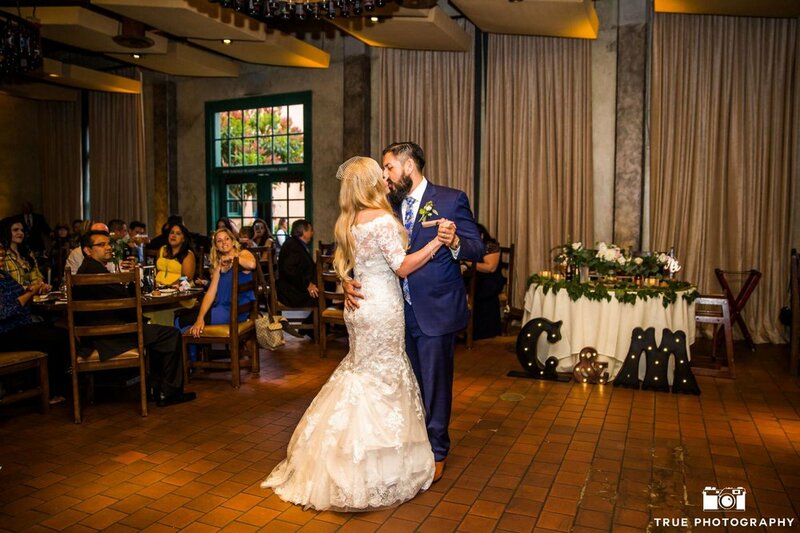 Christina and Marco said “cheers” and “I do” with a fabulous wedding and dance party at Stone Brewery. While I was certainly excited for Christina and Marco’s June 10, 2017 dance party and wedding, I have to admit that I was probably equally as excited for where it was all taking place … Stone Brewing World Bistro & Gardens and Restaurant in Liberty Station. A Stone beer in a San Diego refrigerator is about as common as a surfboad rack inside a garage (practically everyone has one). And their food is equally as delicious. All of this, plus the gathering of great friends and family made for one fun night of celebrating them and their cute little boy. Such a great family! The wedding ceremony took place at Stone as well, in the Movie Courtyard, adjacent to the large banquet room where the reception was held. This room looked amazing with the added lighting and is perfect for medium sized parties.